This list is a reverse lookup. We are listing the Gemstone Meanings and Metaphysical Properties by Spiritual, Emotional and Physical Condition first, and then the gemstone associated with that metaphysical property after. We felt it would be a quick look up guide for your physical, emotional or spiritual needs. We have listed the Metaphysical Gemstone Properties first and then the gemstone associated with that metaphysical property. This list will help you to choose the appropriate stones for your need or condition. 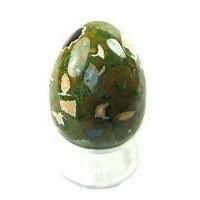 The list contains gemstone properties for physical, mental, emotional, and spiritual healing. We love Gemstones and Tumbled Stones for Healing, Meditation, Chakras and Magick. This list is a reverse look up. You can use these crystals and stones for your crystal healing, collections, meditation, prosperity, peace, harmony, meditations, and love or to just enjoy their beauty. OUR ARTICLES BELOW ARE SECTIONED ALPHABETICALLY. acknowledge and agree that you personally assume responsibility for your use or misuse of this lore. The information in this section is from my own research and feelings I get from gemstones, plus some from a number of texts such as 'Love is in the Earth' by Melody, 'The Book of Stones' by Robert Simmons-Naisha Ahsians and 'The Crystal Bible' by Judy Hall.